Life is hard. 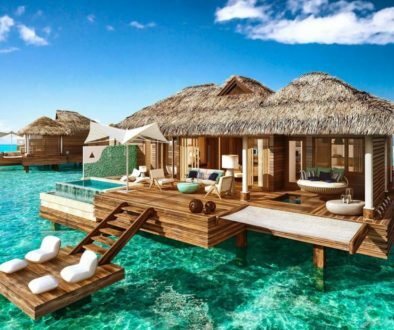 Vacationing should be easy. 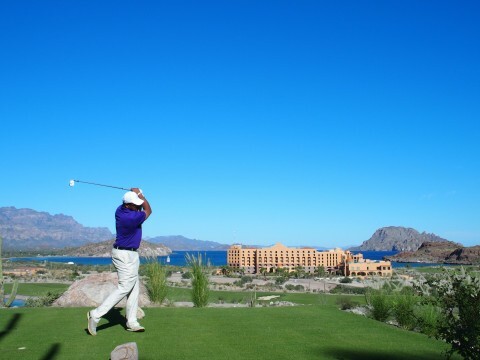 The Villa del Palmar Resort in Loreto, Mexico, on the Baja’s east coast, figured out that vacationers yearn for the opposite of their hectic life back home. The Villa del Palmar Resort welcomes guests to an extraordinary luxury setting where relaxing is a way of life. 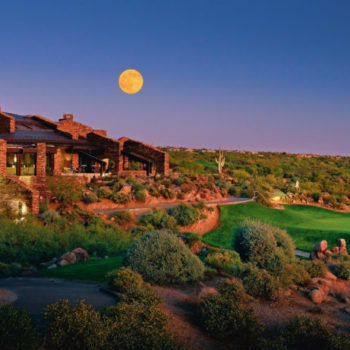 Their 181-room, 4400-acre property is wreathed by the Sierra de la Giganta Mountain Range, the Sea of Cortez, and a brand-new Rees Jones designed golf course. 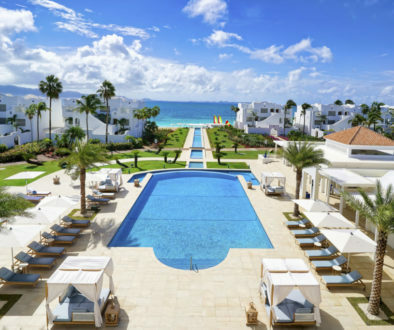 Guests taking part in one of their free poolside Spanish classes will discover that “descomprimir” is the Spanish word for “decompress.” At Mexico’s award-winning Leading Beach Resort, decompress is a feeling that rubs your shoulders at the door and lifts you up all the way home. Villa del Palmar owner Owen Perry entered the hotel business in Cabo San Lucas 25 years ago. At the time, Cabo had yet to explode into Western Mexico’s most highly-sought resort destination. 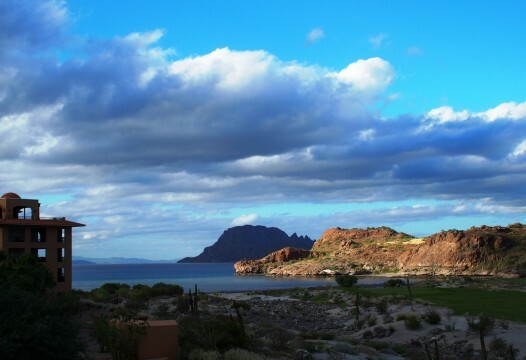 When Perry and his wife visited Loreto less than a decade ago, he compared visions of Cabo before it skyrocketed in popularity. 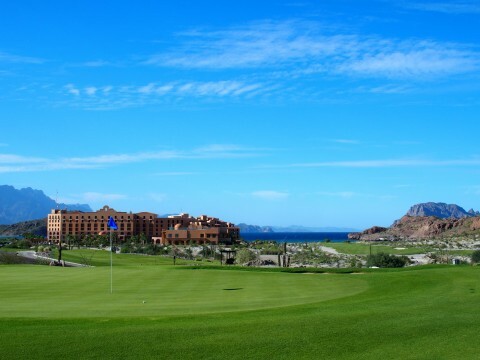 Perry’s dream for Loreto was to take all the luxuries that Cabo affords, but keep his new baby quiet and serene. 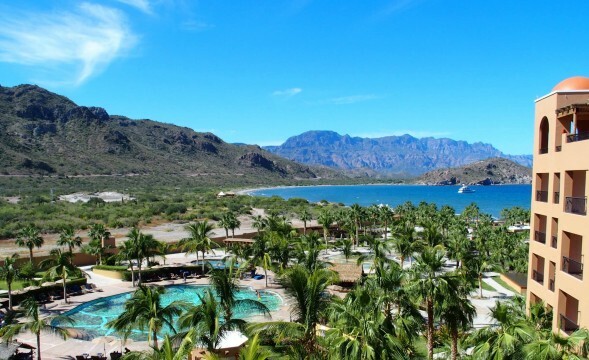 The Villa del Palmar opened in 2011 with luxury oceanfront accommodations, a 39,000-square-foot spa, three restaurants, and a wealth of water activities. Dream on! 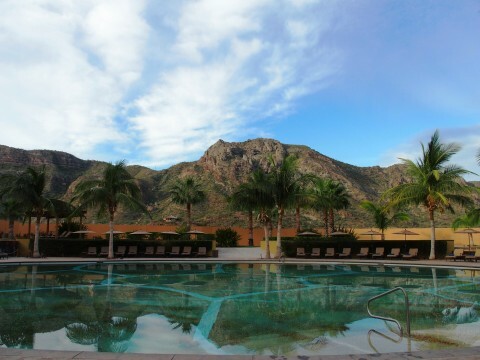 What sets Villa del Palmar’s location apart is that the resort is situated amidst the environmental splendor of Danzante Bay and the Sea of Cortez. Guests find themselves in the middle of a protected National Park that’s so rich in marine life that Jacque Cousteau referred to its waters as “the world’s aquarium.” Villa del Palmar’s 360-degree mountains-meet-the sea setting provides guests with a bounty of outdoor diversions. Spa Director Claudine Riemer has one piece of advice for guests who wish to indulge in one of her mesmerizing spa treatments. 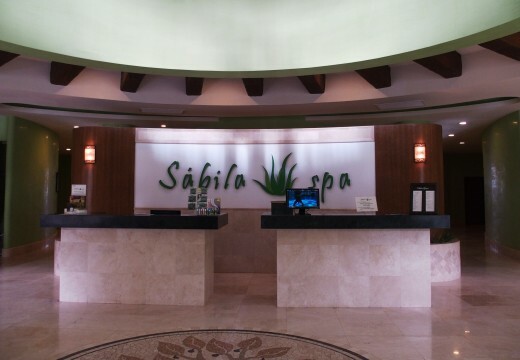 “I encourage guests to receive a massage, a wrap, an exfoliation, or a body treatment on their first full day at the resort. 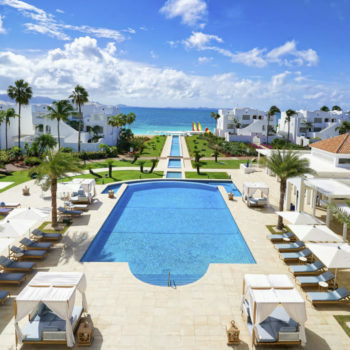 I have had guest after guest tell me that by releasing those tensions early, they feel great for the balance of their vacation,” Riemer said. 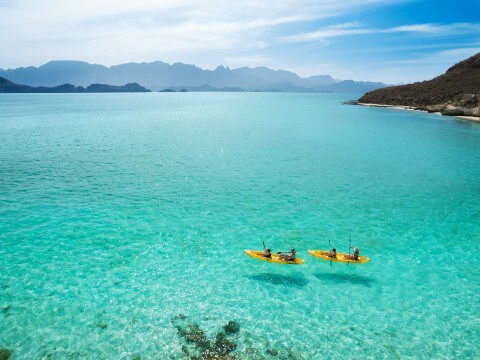 From the resort’s calm shoreline, guests can snorkel, paddleboard, kayak, cast a line, or take a guided excursion to the one of the plethora of islands within reach of Villa del Palmar. 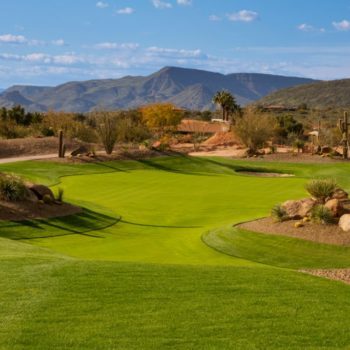 Water options are abundant, but then again, perhaps the resort’s new golf course is calling your name. 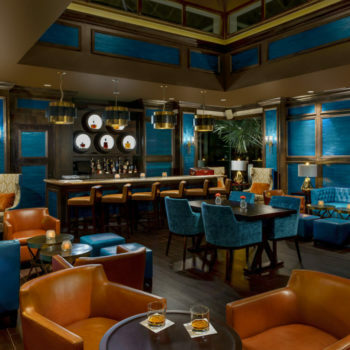 The Villa del Palmar’s latest world-class addition is evident as soon as a guest steps out from the resort’s front entrance. 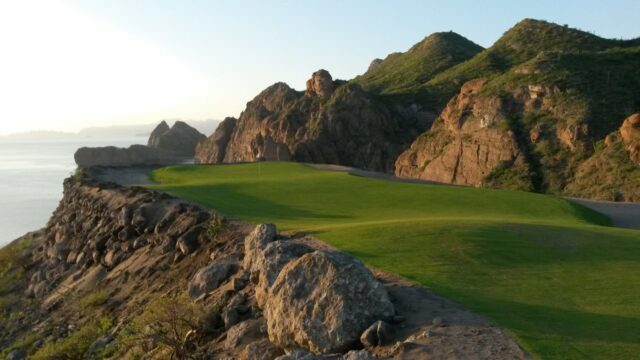 Perched just below the morning sunrise sits Danzante Bay Golf Course, an amazing 7,400-yard 18-hole layout designed by none other than Rees Jones. 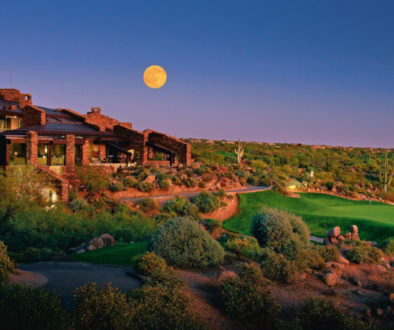 Jones’ creation is one of the few courses in the world that offer mountain vistas, oceanfront signature holes, one-of-a-kind desert landscapes, and elevation changes usually experienced only when skydiving. For all the visuals Danzante Bay provides, it may be the sound that is most impressive. With the imposing presence of the Giganta Mountain Range standing guard at every turn, the quiet blanketing your round is just another difference maker in a Villa del Palmar vacation. 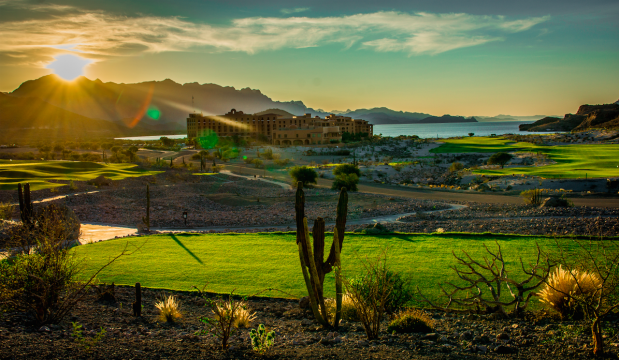 It’s impossible to not appreciate the majesty of your golf surroundings and the pleasing memory Danzante Bay will forever chronicle in your memory-bank. Compare your morning coffee at Villa del Palmar with your first cup back home. There is something magical about leaning on the rail of your wrap-around balcony and admiring the Sea of Cortez and the unending cascade of mountains. If that’s not enough, head down to the Mia Casa al fresco restaurant and indulge in fresh fruit along with your favorite breakfast entrée. 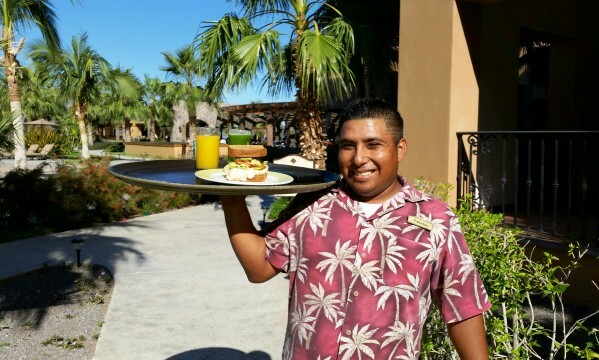 Lunch may include a sampling of the region’s famous chocolate clams poolside, tacos al Pastor, or a shrimp and mango garden salad. You may also want to take the daily shuttle and visit the quaint 500-year-old town of Loreto for an authentic Mexican picnic. 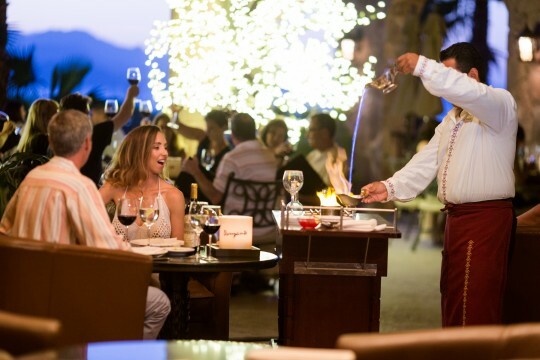 The evening dinner hour is when the Villa del Palmar sky comes alive with light. After a surf and turf dinner topped by one of the Danzante Restaurant’s signature cocktails, look straight up. The Loreto sky is so clear, the stars are beyond radiant. The Villa del Palmar humbly promotes itself as a million stars resort. 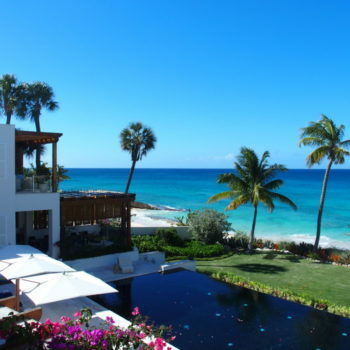 Danzante Bay – Why not live like this year-round? 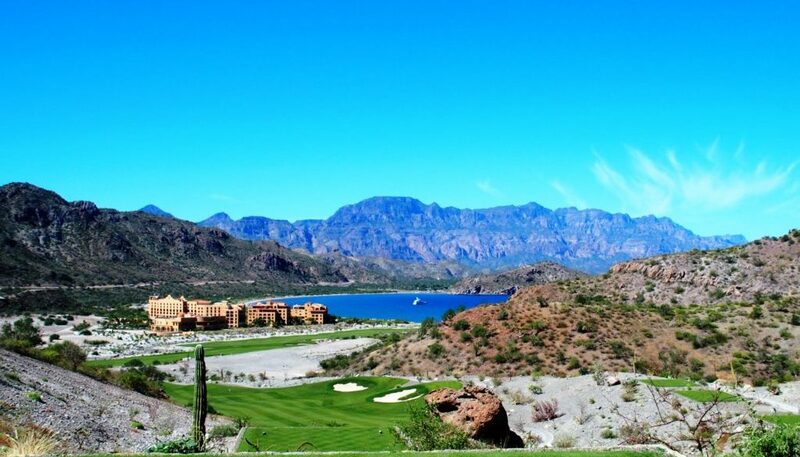 After a week of easy living at the Villa del Palmar, you may not want to leave. If Loreto feels like home away from home, there is a long-term solution to your Baja crush. Construction has begun for a neighboring Danzante Bay 734-acre resort community offering half-acre lots, a private beach club, and two, three, and five bedroom villas.